When in Katakolon and wondering what to do, consider the possibility of taking a trip to Olympia by train. If you are a nature lover, you surely won’t regret it! The Port of Katakolon has existed since ancient times, however, in the late 19th and during the 20th century, it developed as a commercial port at the same time as and in conjunction with the railway line. Constructed in 1882, the Olympia-Katakolon line is the second oldest in Greece. Agricultural products to be exported were then transported to the port from Olympia by train. The product that was exported most was currant, which traveled mainly to England. I was a young child and I remember the discussions on the reduction in the production of currants in the region and the decline in exports. The dawn of the 21st century found the harbor with little commercial traffic, but a fresh activity gave new life to the port and along with it to the railway line, the cruise ships. Katakolon is no longer as commercial as it is a tourist harbor, which welcomes many cruise ships annually. 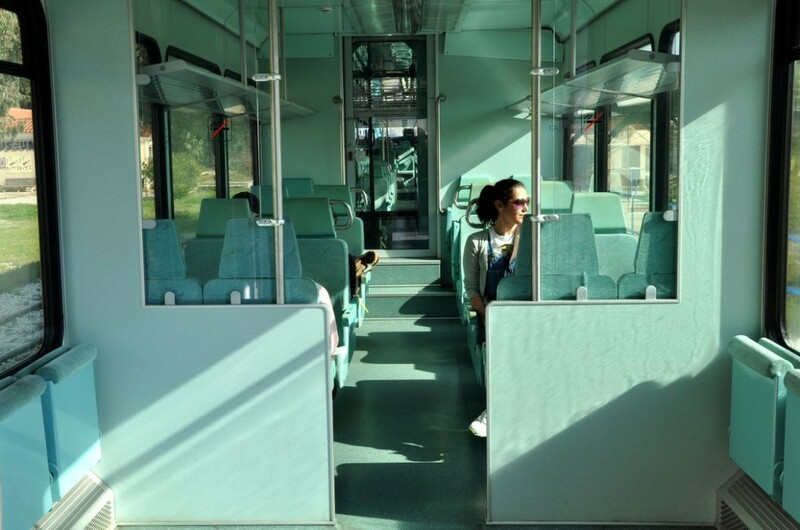 The train nowadays is one of the means transferring tourists from the cruise port to Ancient Olympia. 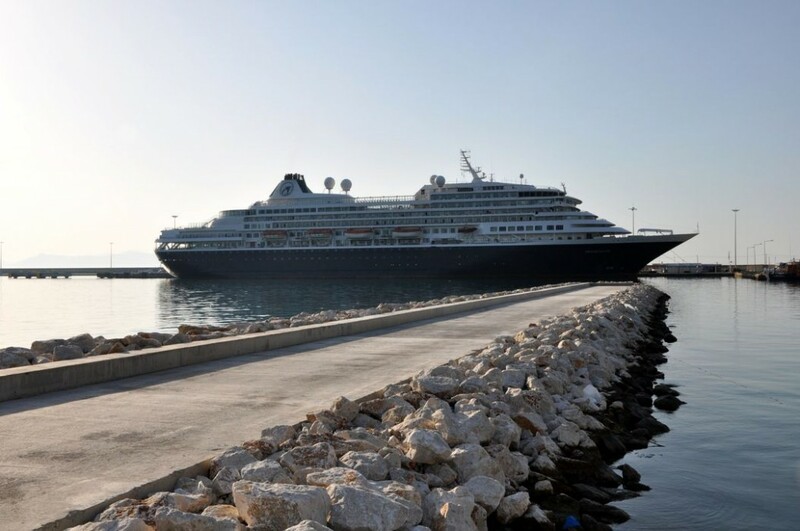 Each time a cruise ship docks the port, the train adds more routes, adapting them to the timetables of the ships so that passengers have the chance to visit Ancient Olympia and return to Katakolon on time. The journey to Olympia by train lasts 45 minutes and allows travelers to observe nature in one of the most fertile regions in Greece, possibly in Europe too. The traveler has the opportunity through the train to observe a number of crops absolutely representative of the typical Mediterranean products (olives, grapes, watermelons, oranges, tomatoes, etc.). 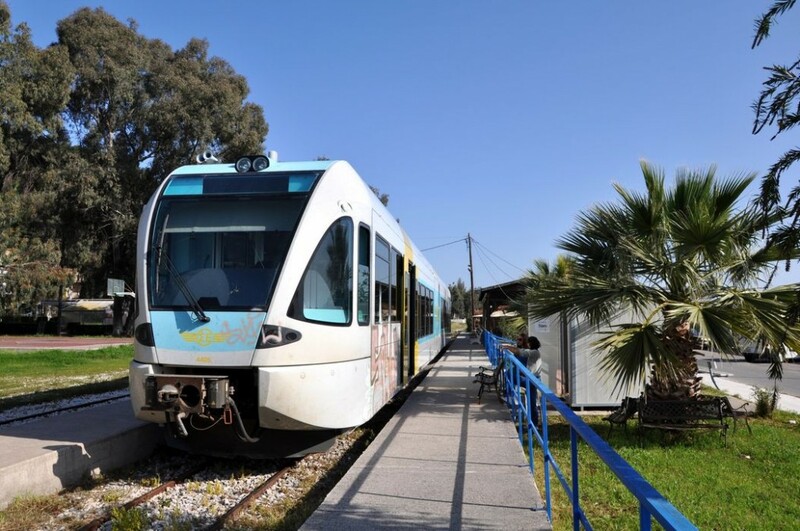 Before you realize it, you arrive at the train station in the modern town of Olympia, which welcomes you among its green surroundings, connected harmoniously to the archaeological site and museum. A five-minute walk through the outskirts of the town leads you to “Klio’s honey farm”. An hour under the shade of fruit trees on the farm with coffee and traditional sweets is a refreshing break from the crowds. Chatting with the owners of the farm about the production of unique, both in flavor and in nutritional value, local agricultural products, such as honey, but not only, is an ideal way to complete a trip to the Greek countryside, to get in touch with the extraordinary and typical Mediterranean beauty of it.